Entering an animal shop, a wide range of choices is offered to us in terms of necklace, harness or other tool to walk pony. How to choose the one that best suits your dog properly on a leash? What about choke collars, mesh or electric? As its name suggests, this endless sliding dog collar strangles the dog. It was originally a traditional training tool that was only used when training the dog by professional punishment and not on a daily walk. It only works if the dog is punished or strangled hard enough; enough pain is inflicted on him so that he does not reproduce a behavior considered undesirable. This method is to be avoided because not only it inflicts pain but also it does not teach the dog what he should do, he just teaches him to avoid pain. It is actually a necklace choker, provided with pikes turned towards the neck of the dog for a more pronounced effect. It is used in much the same way and has the same harmful effects on the dog both behaviorally and physically. These two collars have physical consequences that can be disastrous, the scientific data is still in progress but it would be eye problems, the esophagus or the trachea until neurological problems due to strangulation. This necklace does exactly what its name says: it delivers electric shocks to the dog. There are several types of necklaces, the one that you control with a joystick and the automatic that triggers when the dog barks for example. This necklace is illegal in many parts of the world and many associations are fighting to ban its use considered inhumane. 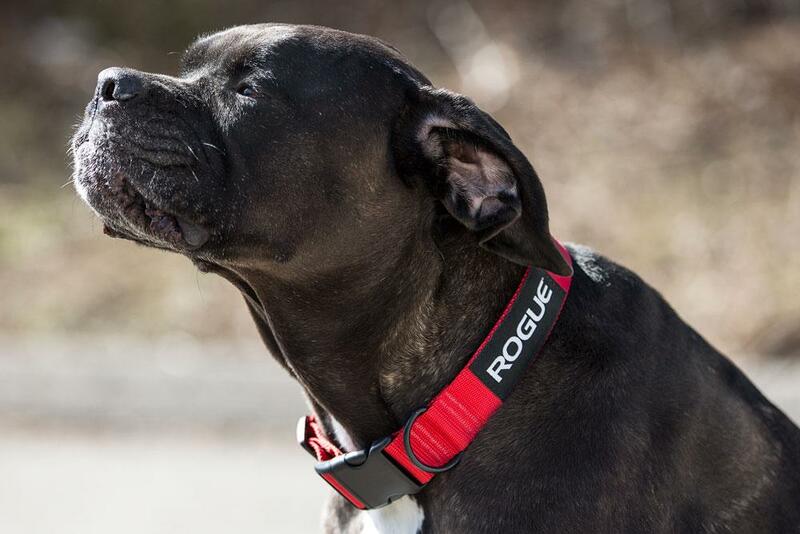 Why not use these collars with your dog? In addition to sore the dog, they create fear, anxiety, acquired helplessness, but also bad associations; for example if I strangle or zap my dog ​​that barks after another dog, the association that does it does not necessarily stop barking but: ‘when I see a dog, I hurt’. The consequences are multiple: my dog ​​is afraid of other dogs, my dog ​​goes out in front of other dogs, my dog ​​wants to attack other dogs: all these results are undesirable in addition to undermining the relationship you have with your companion, that’s why, among other things, we do not recommend them. This is the most popular necklace but can, in itself, strangle the dog too if it pulls. Learning to walk on a leash is necessary to avoid the physical damage it can cause due to strangulation, calling a canine educator is necessary for a walk in flat collar without disastrous consequences. It is often used to put the dog’s medals for example; it can be a beautiful fashion accessory too! It is traditionally used for dogs that have heads smaller than their necks (greyhounds for example). The martingale should never be used as a choke, but adjusted like a flat collar. It has the same effects as the latter, other than the dog cannot leave it if he backs down by lowering his head. Shelters usually use this type of collar to avoid losing their dog. This type of head harness may be useful in some cases, but it must be used with care. Although not all scientific data is counted, the halti could damage your dog’s cervix during a sudden shock (lashing, sudden blow). What we often see are dogs scratching themselves to remove it (on the ground, against people’s legs). Indeed, wearing a head harness should be an apprenticeship (how to wear it, wear it and love to wear it). A qualified dog trainer can help you introduce your dog to avoid discomfort. Several types of harnesses are available, the one with a tie on the back, the one for the car, that of canicross, the one with a frontal attachment or even that which encloses the dog when it pulls. They are to be avoided because they have the same effect as a choke collar and the friction may damage the epidermis of your companion. Just like canicross harnesses, they allow your dog a good forward pull, it is possible that he pulls more on a leash, a course is in order! When choosing your harness, take the time to adjust it to your dog to avoid any friction and / or potential injury. It should be noted that some dogs learn to let go of this type of harness by moving back and down their heads! They allow you to have easier control because by pulling, the dog naturally turns towards you. On the other hand, some dogs learn to pull anyway, so an educator can help you teach your companion to walk on a leash. If your dog has short hair, prefer a padded model to avoid scratches. Choosing a good walking tool is essential for the comfort and well-being of your dog and yours as well. It is good to remember that it is not natural for a dog to walk on a leash and that learning is necessary for a pleasant walk! Flat collars and harnesses (except those that grip the dog) are preferable to coercive tools such as chokers or spikes. If your dog pulls a lot, a harness with a frontal attachment and a little workout should allow you to relieve the joints of your hands during walks! The brands Canine Equipment, Ruff wear and Easy-Walk make good models. An educator can help you get around the situation quickly so that you can enjoy a dog-friendly ride while getting you to the right tool for you. Chicken breeds fall into three basic categories – egg producers, meat birds and dual-purpose types. Broilers chickens, in the second category, were designed to mature quickly, ready to market as early as 6 weeks of age. The commercial market depends on a few breeds of broilers chicken or types. These birds do not make good pets if you are not in the market for meat. They are not bred for longevity, and size creates problems in older birds. The most common type of broilers chicken are not a real breed but is a cross between white rock and Cornish chickens. Cornish man / white cross rock weigh about 4.5 pounds at the age of 6 weeks. If kept around five more weeks, they weigh about 9.5 pounds. The females of this cross, known as Cornish game hens, grow more slowly, weighing about 2.5 pounds at the age of 5 weeks. Like other white feathered meat birds, their carcasses are not discolored areas on the skin due to feather growth. Red broilers chicken, or Red Label, does not ripen as fast as the Cornish goes through. It takes them twice as long – 12 weeks – to reach the size of the market. Males reach maturity at about 7 pounds and females at 5 pounds. If you want to raise broilers chicken outdoors rather than in an indoor facility, red broilers chicken make a good choice. As their name suggests, these birds have softened various shades of red, and some have dark tails. Hens produce large brown eggs, but do not go brooders. This means that you have to incubate the fertilized eggs if you want to raise another generation of red broilers chicken. Developed in the 1940s, the Delaware chickens were given to cross Rhode Island Red hens with Barred Plymouth Rock roosters. 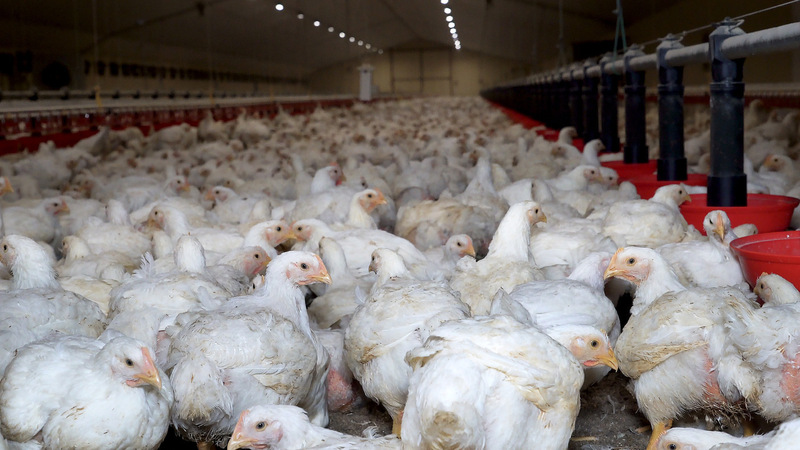 At one point, Delawares have been widely used in the broiler industry, but the conservation of livestock – which monitors rare breeds – lists now threatened. Black white sports organizations The Delawares except on the neck and tail. Early mature males, tip the scales to 8 pounds; hens are smaller at 6 pounds. Unlike other broiler breeds, Delawares are also useful for small-scale egg production. Other breeds or types of broilers chicken are usually Cornish crosses. You can find these chicks for sale in large scale hatcheries across the country. A relatively new breed is Rosambro, a chicken that looks like a red broiler with faster growth. Expect a mature Rosambro between the ages of 8 to 10 weeks. Other common meat breeds do not grow as quickly as broilers chicken. When you make the decision to have your very first dog, you can feel as excited as you are lost. What your dog will have experienced before living with you and what you will avoid him and allow him to live, count a lot (many, many, many!). Dogs are mostly shaped by what they live and especially what they live young. Each dog is unique and you may have already noticed that there are dramatic differences in behavior between dogs of the same breed. This is not to say that we must neglect the choice of the race of his dog. So what should we attach importance to? Here are some tips if you embark on this adventure (out of the ordinary) for the first time. Rest assured, if it was the nightmare of your schooling, you will be reconciled with the story. You will soon welcome your first dog and you are off to fishing info! If this is not already the case, you will hear different sounds of the dog breed that you like, from your relatives, friends, neighbors, social networks. You will be confronted with a vast amount of information that everyone is free to interpret in their own way. Not to mention that in terms of ideas received, you will take for your rank. Everywhere, dog breeds are described as dominant, stubborn, associable or sociable with other dogs, nice with children… (this is not exactly the case, because everything does not depend on the genes). At this stage of your fantastic project to have a dog, there is sort to do. So start now, because in the next stage, you will be overwhelmed by a new wave of jarring news and even more prejudice. What can help you not to believe everything you say, do not stop at appearances and sometimes trust yourself a little bit more, is to know the history of the dog breed (s) that you like. It’s really the best way to understanding the most important things to understand about the dog breed that attracts you, especially its use. Because of it depends a good part of what your dog and his needs (but not, not ALL either). In some parts of the world where dogs are more likely than others to live under our roofs, we choose to go “to play sports” and for some of us, it has even become a challenge to maintain a minimum physical activity. For dogs, it’s a need like eating and drinking and they can not wait for the weekend or vacation to get in shape. To decide which breed might be your first dog, his need for physical activity is a crucial aspect to consider. By discovering the history of the breed, you already have a better idea of ​​the need for physical exercise of your future dog, when he has finished his growth. Other things tell you if a dog can be happy to walk on a leash 15 or rather 30 minutes three times a day (for example), if he can walk or needs to walk much more than you are considering, or if he needs to run because he has so much energy to release that leash rides will not tire him enough. Each dog is different but there are bases to know. Its morphology should allow you to determine if your future dog will be more or less energetic and how you can help him to spend his energy because there are sacred differences in terms of endurance, speed, agility, etc. and it also depends on what your dog will do the rest of the time. Some dogs adapt much better than others to a moderately active life because of their constitution. In any case, there are many potential problems that you can not out immediately delist if you ignore this need exercise and you’re aware of that going to ask you to order the fill in everyday life (not only on Sunday!). And if there are people who choose super athletic dogs with big sports needs to let them vegetate all day long and who are surprised to have horrible problems, there are also quite a few people who have dogs… who get tired too quickly for them! All my tips for good thinking and preparing your project to host a puppy or dog at home are in my book Why not a dog . You will discover portraits of 120 dog breeds and find answers to all your questions. You will have to learn some things from your dog, if only cleanliness. For many, walking on a leash is a must. There are people who have dogs but only need to teach them to behave well with family and friends who come to the house. These are dogs that are more moderately part of society. They have land available and it is fenced. They come out only to go to the vet (they are not unhappy not to be part of society!). So many things are choices and not obligations. For example, people in this case have the choice to learn walking on a leash or not. If they want to walk around here and there with their dog, they will teach him and if they prefer to leave their dog at home when they go here and there, they do not need to teach him. Let’s say that more a dog is part of society and more have responsibilities to assume. From this point of view, races involve risks of not being able to assume certain responsibilities according to the place where one lives and the life one leads. A simple example: You have taken care to calculate if you have the necessary budget to feed your dog who will weigh 80 kg once an adult. It’s good. Have you thought about what will “go out” (sorry!) And which you will have to pick up if you live in town? If you do not pick up, you’ve missed a lot of what is life with a dog: to be responsible to his dog but also to others or at least try his best! There are dog breeds with which you will more easily assume your responsibilities and then others who may ask you to provide more effort. 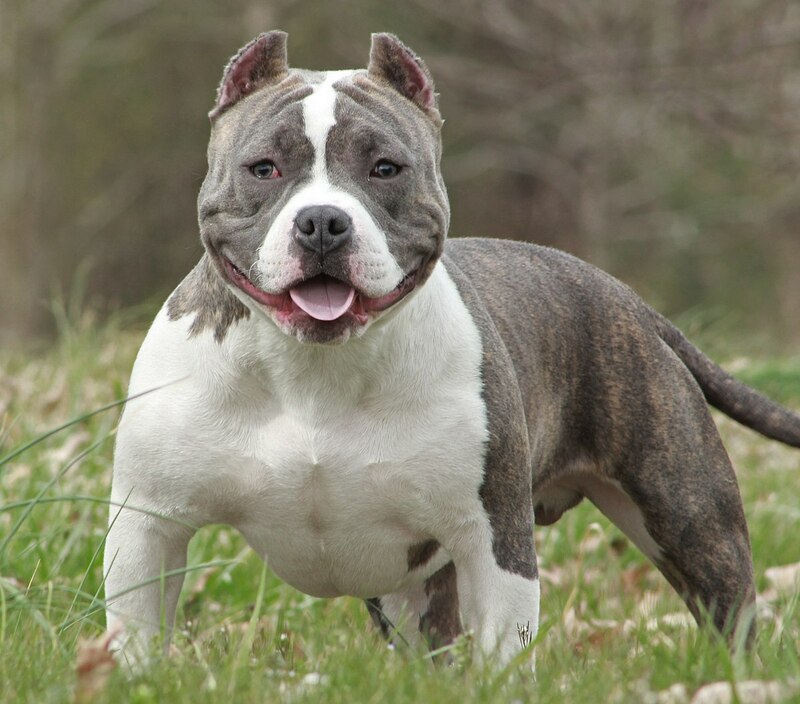 It depends on your ability to match your obligations with the characteristics of a breed of dog- physical and other. It is not good to rely solely on the breed of dog to choose your first dog, as it is not good to denigrate or ignore all that a breed can imply. You have thought a lot about your future dog. You have thought a lot about yourself. Do not forget to think about the big or small world your dog will be part of. There are big dogs that live happily in town because their owners take great care of them. But a big dog makes big dung. You have to pick them up because you have responsibilities to others too, not to your dog. For your very first dog, you may be interested in breeds that have a balanced set of characteristics, instead of breeds that have one or more very pronounced traits. It’s just an idea to ponder. It is possible that you are doing great with any dog !! These are not difficulties in themselves. Again, these are features that sometimes become issues, because of the dog’s environment. My book Why Not a Dog will help you explore the world of the dog, get to know the incredible morphological diversity of this animal, avoid scams, make the right decisions for your future and that of your fellow hair, and to to better understand how dog training works and organizes itself! It also depends on where your puppy comes from. Some puppies come from places where they have not been prepared to live in our world and it is more difficult for you and for them. Some puppies come from good farms where you have been chewed on the job. For example, your puppy of a breed known to be easily triggered by small mammals that move has had great experiences with sociable adult cats before coming to your home. If it’s not a guarantee, at least he started to learn that cats are not “prey” (or threats). This is where you realize that everyone has advised you against the breed because you have a cat, but your puppy learns quickly to leave him alone. So, if you have the crush on a dog breed that is not in the “half-size” and that’s your first dog, at least do not choose your puppy anywhere for “cheap And make sure you do not have too many constraints that will require you to learn more, and perhaps put so much effort into taking on all your responsibilities that you will get fed up with it. ‘a year. There are more versatile dogs than others and it is not uncommon for them to be good candidates for a first dog. You want a Scottish terrier. You only have eyes for the Scottish terrier of the neighbor you see every day in front of your window. This gentleman was kind enough to answer your many questions. Now you are trying to find friends of friends of friends who have / have had a Scottish terrier. You have read all the sites and blogs and forums and professional publications about the Scottish terrier and you have seen all the videos on Youtube. You have become unbeatable!! If this is your very first dog, try to be interested in as many dogs as possible, of different breeds. But many of them, in answering your questions, will also give you a more precise idea of ​​the best conditions to offer to your dog, according to certain specificities of the breeds. You will have a more global vision of canine diversity and this will help you to lead your thinking. Even if the cold wave has passed, winter is still here! It is important to stay alert and alert to your pet. The Dog Daycare is your one stop daycare for your best furry friends. 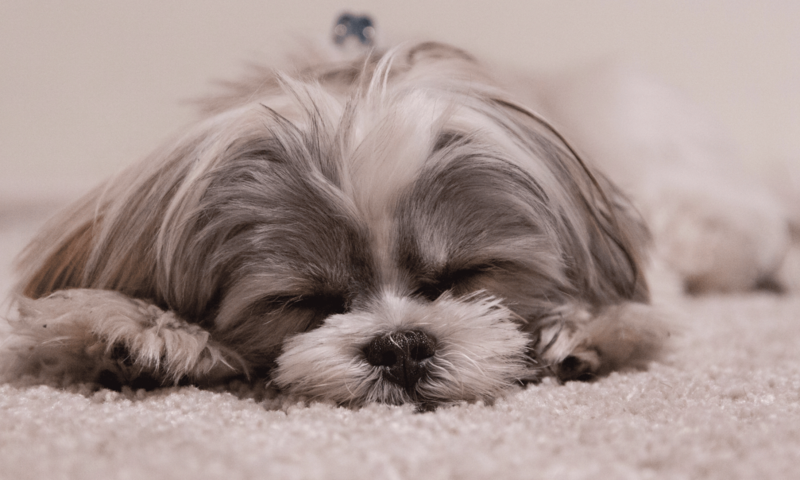 Follow our 5 tips to take care of your dog or cat. An older or very young animal will be less resistant to cold. Indeed a puppy or an older dog is more fragile, just like a baby or a senior. In the older dog, the joints are put to hard test with the cold. The ideal is to do a check-up at your vet. During this visit, also make sure that your pet is not diabetic and has no kidney problems. These two diseases can get worse with the cold. 2- A cat hidden in the engine? In winter, cats seek warmth. And what better than a car and its engine still hot! They hide very often near the wheels. When you take your car, tap on the hood or a hint of horn to scare them away. Many cats are injured each winter as they sneaked into the wrong place. If your pet is outside, check his legs and especially his pads. Contact with cold or frozen ground may cause cracking and infection. To protect them you can put a fat on the pad to make a protective film. If your pet spends most of his time outside it is recommended to adapt his diet because his energy needs will increase. Increase the daily rations by 10 to 20% depending on the level of their activity and consider dietary supplements. Be careful not to overfeed anyway. Do not neglect to arrange a warm place to sleep, if so, the animals can also take cold, even if they have fur! Very active dogs have an even greater energy need. It is recommended to give them fat in their diet. It may sound strange but do not wash your pet too much in winter. Yes, you probably do not know but your pet will naturally secrete sebum. This layer protects it from cold and moisture. Washing it will remove the protection and expose it a little more coldly. To improve the quality of the coat, you can also give it yeast. You can not resolve to leave your trusty doggie or kitty at home when you go on vacation? So, just take it with you! However, be sure to take the necessary precautions (see below) so that everyone can travel around the world safely and with peace of mind! Before setting off or flying to distant lands, it is best to check that all vaccines and papers for your pet are in order. Be aware, for example, that your faithful companion must be vaccinated at least 21 days before departure against rabies. Your veterinarian can provide you with the necessary documents. Carry the European passport of your faithful companion on all fours and ensure that he or she is identifiable via an electronic chip (aka transponder). A tattoo made before July 3, 2011 is also valid. Warning: if you go to the UK, Ireland or Malta is aware that a transponder is mandatory. Abroad, you will not always find pet supplies or your pet’s favorite food. Unfortunately, all you need is a change of diet so that your faithful companion gets a full stomach. It is better than to carry a small portion of food which he is accustomed to so that the change is not too abrupt. Especially in hot places, the risk of heat stroke is real. Always carry enough water and flip through the garden & animal folders for a folding lunch box, easy to pack in your backpack. Hang a small medal or an address tag with your details on your pet’s collar and always have a clear picture of your faithful companion in your pocket (or in your smartphone). On holiday by car with your pet? Before making a long journey, it is better to accustom your faithful companion by taking him by car on shorter distances. Make sure there is a nice temperature and there is plenty of fresh air in the cabin, but do not let your dog stick out of the window. Not only is it dangerous, but it also often causes ear infections and conjunctivitis. In many European countries including France, Italy and Spain, your dog must travel in a closed cage or with a harness (a safety belt specially designed for him) . For the full list, take a look at this website. For cats, it is better to opt for a small cat basket. Provide plenty of water and excrement bags and favorite toys for your doggie or kitty. In short, do not hesitate to visit your favorite pet store to have everything you need. Just like for you, it is advisable to allow your faithful companion to stretch his legs every two hours. Not to mention the leash of course, especially in places that yours pet does not know. Especially near the highway… Never leave your pet in the car. The temperature can quickly rise above 50°. On a plane holiday with your faithful four-legged friend? The regulations differ from one airline to another. At Brussels Airlines, for example, taking your pet on a trip is no problem. Depending on its size and especially its weight, your faithful companion on all fours may or may not accompany you in the cabin. Dogs and cats weighing more than 8 kg must travel via a transport cage in the hold. It is best to inform your airline in advance about specific rules for pets. The price to bring your pet varies so much from one company to another. This can cost you from € 20 to € 800. Here too, it is better to accustom your pet in advance to the conditions of travel. Give easy food to your faithful companion 24 hours before the trip, but never sedatives. With the variations of atmospheric pressure, it turns out to be a very bad combination. Want more tips for your four-legged pets? For many of us, our pets are irreplaceable members of our family. They do not judge us when we make a mistake and they are not angry when we come home late from work. In the end, they are just as happy to see us and are always excited to eat the same thing at dinner every night. If only humans could do the same! However, just like us, pets sometimes get sick and can take advantage of natural supplements to help with the symptoms of their illness. Even if your pet companions are not suffering, they can still benefit from a regular dose of CBD in their diet. Domestic animals like cats and dogs have cannabinoid receptors similar to ours, which allows their organisms to react in a similar way to ours. That’s why the Cibdol team innovated with a new range of pet CBD oils called Cibapet. The new oils contain a 4% dose of CBD combined with omega-rich fish oil and vitamin E. The CBD Cibapet oil thus obtained is the perfect complement for your pet to be at the best of his abilities. The goal of Cibapet is to take the therapeutic benefits of CBD and combine them with the already proven health enhancing effects of fish oil. 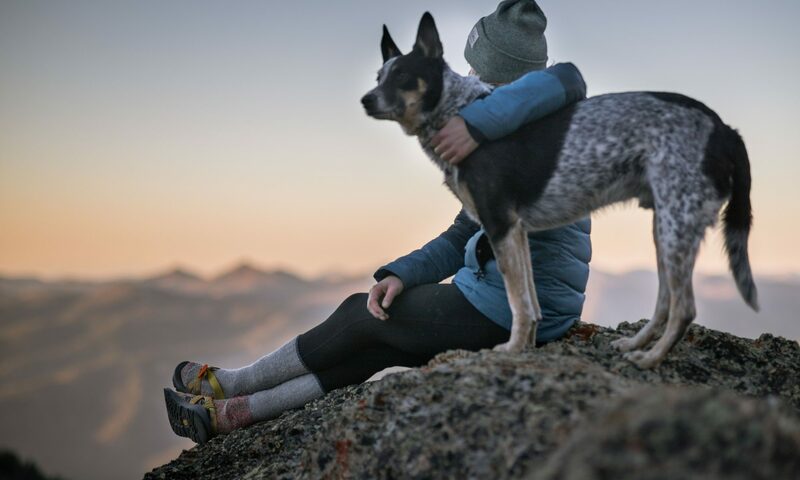 If you, the animal lover, are still skeptical because of the close relationship of CBD with the psychoactive THC cannabinoid, let us explain the benefits of the two main ingredients for your companion. Let’s start with fish oil. The main ingredients to look for in fish oil are omega-3 EPA (eicosapentaenoic acid) and DHA (docosahexaenoic acid). Sometimes shortened under the name EFA (essential fatty acids), it is important in our case to ensure that the fatty acids presented are omega-3. Other omega foods do not have the same health benefits. Omega-3 fatty acids are mainly derived from fish such as mackerel, salmon, sardines, anchovies and yellowfin tuna. The use of omega-3 oils in isolation could be very beneficial for our pets. Although in some cases, increased stamina could be a negative aspect, especially for restless puppies who love your branded shoes. Aside from that, healthy skin and fur are a vital part of your pet’s well-being, helping to prevent many skin diseases. Not to mention the fact that a stronger immune system could save you money on expensive veterinary bills. It also brings something that money can not buy – peace of mind for animal masters. Even though fish oil alone is powerful, the icing on the cake is the inclusion of CBD oil. As we have previously discussed the skepticism surrounding the CBD, let’s take a closer look at the benefits it can bring. The first and most important thing to say about CBD is that it is non-psychoactive. In no case it can “hover” your dog or put him in danger. This is probably the biggest concern of the owners of pets. Cannabis hemp varieties contain only trace amounts of THC, often 0.3% or less. And this negligible concentration of THC is eliminated during the preparation of the product. The benefits of using CBD begin to accumulate, presenting this cannabinoid as one of the most powerful dietary supplements on the market. Introducing it into the balanced diet of your pet companion can prove to be highly beneficial to the general health of your cat or dog. This is due to the unique way that CBD binds to your pet’s natural endocannabinoid system (SEC). The endocannabinoid system is a large matrix of receptors located in the brain and body. While humans and pets produce their own endocannabinoids to activate SEC, CBD can be used to stimulate increased communication between cells, helping your companion’s body to help itself. When your dog is suffering from an engine problem or has suffered a major fracture, it is important to rehabilitate his body. Hydrotherapy is an increasingly popular technique, and the pioneering veterinary clinic is located in Maison Alfort. What is hydrotherapy? Why does this technique work well? How to practice it? Welcome to Loyalwill Canine Hydrotherapy Centre or Dog Hydrotherapy Centre where your pet comes first. 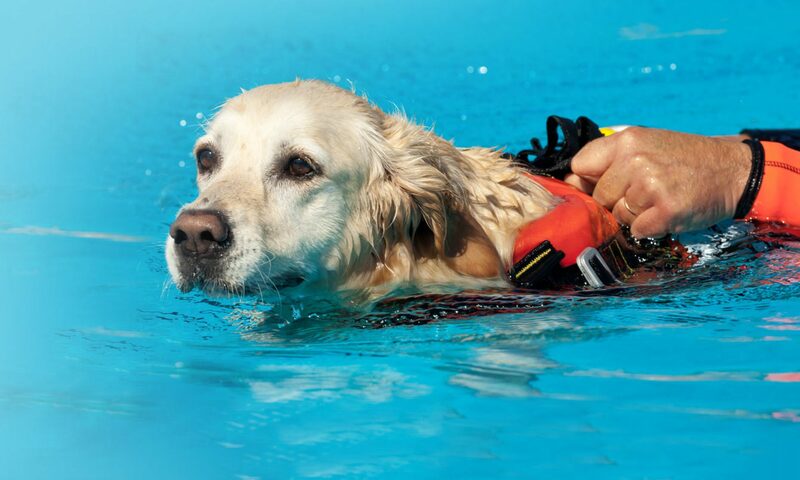 We are a member of the Canine Hydrotherapy Association and proud to represent Canine Hydrotherapy in Northamptonshire. If we refer to linguistic origins, hydrotherapy refers to care with water. When your veterinarian prescribes hydrotherapy sessions to your best friend, he offers your pet a body work in the aquatic environment. This corresponds to a series of movements that the therapist imposes on your dog, either by mimicry or by play, but also, depending on the animal, by the word. In the water, your companion is relieved of his weight and can put all his muscles and joints into action. 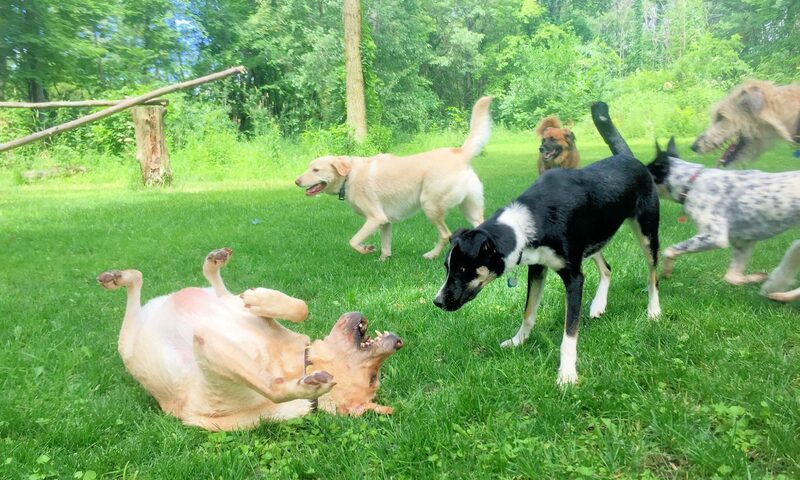 This is how canine rehabilitation sessions show their effectiveness. Through gentle movements, the dog learns to move naturally. Why is it particularly effective in dogs? The dog is a good swimmer. In addition, he loves water. If you leave your animal near a lake or a river without forbidding it, it will invariably dive. Swimming is as beneficial for the dog as it is for the man. The physical exercises that are developed compensate for the defects that have been acquired over the years. For the dog, this helps to relearn the good movement, as well as muscle in case of muscle loss following an injury or an accident. Where to practice it and at what cost? Hydrotherapy is not practiced by your veterinarian. This is in a clinic where a veterinary research laboratory works. You can also find a good hydrotherapy service in a dog center. In any case, ask your veterinarian for advice. 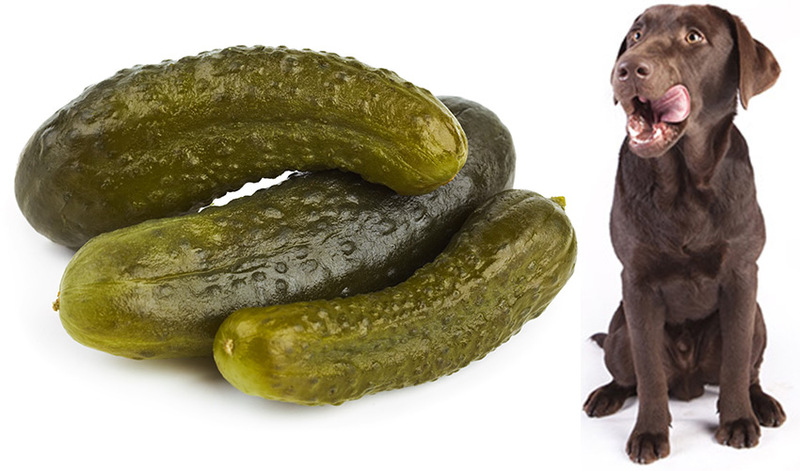 In general, your dog will be entitled to a dozen sessions for the treatment to bear fruit. This can increase depending on your affection and ability to recover. The session costs between 20 and 30 euros but is not always supported by a mutual specialized dog . Consult your contract beforehand. Choosing a cat kibble distributor, there are several types of cat kibble dispensers, depending on the configuration of your home, your cat’s habits and functions that you feel are essential. To be used correctly, your dispenser will need to be strategically placed, and preferably fixed to the floor or wall to prevent it from falling on your little cat. The automatic cat kibble dispenser is ideal if you are used to being away for a weekend. It dispenses a quantity of kibble defined in advance, at the hours configured in the device. There are vending machines with an analog or digital timer depending on your preferences. These will allow you to predict the timing of meals of your cat in advance, without it lacks food during your absences. The manual dispenser is certainly inexpensive and practical for preserving kibble in a closed container, but it is not suitable for obese or overweight cats. It allows the cat to use as it sees fit, without any control. More expensive but also more practical on a daily basis, the 2-in-1 kibble dispenser not only delivers food, but also water. It allows you to save space and offer your cat fresh and constantly renewed water. Again, a must-have distributor if you go away regularly or your cat drinks a lot. If your cat is used to eating varied, it is this distributor that will suit him at best. Programmable and automatic, it consists of three to six closed compartments that will allow you to offer different types of croquettes / pâtés to your cat so that it will never get tired! The toy dispenser allows you to feed your cat while inviting him to exercise. This is the preferred dispenser if you have an obese cat or who has a tendency to be overweight. This type of dispenser can come in different forms: pipolino, ball, bottle … It is your four-legged friend who, playing with the distributor, will deliver his own kibble. A good way to play it and to make it eat more slowly. To choose your cat kibble retailer, try to find the right balance between your budget and your needs. Also consider your cat’s profile. If it is very active, a manual dispenser could be enough. Conversely, if your little wild animal has a propensity to overweight, better be offered a vending machine or a toy distributor. Attention, in no case your new vending machine should be used as an excuse to leave your cat more than two days alone. The distributor will not replace your presence or your caresses, and we advise you to keep your cat on vacation, in case of prolonged absence. It can also happen that a distributor breaks down and your cat is hungry during your absence. The cat remained very close to his ancestral carnivore instincts. He is a great adventurer and excellent hunter capable of jumping 1m80 without impetus, and to perform sprints at 50km / h, leaving little chance for small prey which he loves. Its digestive system is specially designed for this carnivorous diet. The digestive tract is relatively short: it adapts to the limited quantities of its classic hunting board, composed of small catches. Its transit is fast and focuses on a proteolysis activity, i.e. on the destruction of proteins. For these physiological reasons, a cat will spontaneously orient itself towards a protein-rich food, as soon as it has the choice. What Is the Role of Food In Maintaining Good Health? It is with all these proteins that the cat produces the energy he needs every day. Not knowing how to save them when they are scarce, a protein deficit can settle very quickly in a cat, when his diet is unbalanced. Overweight, urinary stones, diabetes, are common disorders often having a nutritional cause. 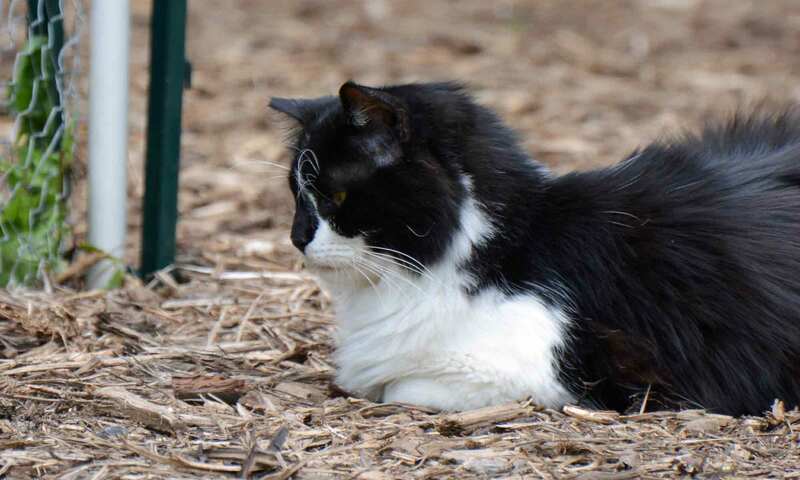 The diet that is given to a domestic cat must therefore bring him the energy but also the necessary nutrients to ensure optimal weight and maintain good urinary and kidney health . Its daily nutritional intake must be low in carbohydrates (including starch) that it consumes little in its natural state. A diet that respects the carnivorous nature of the cat gives it many other benefits: the health of its skin and the beauty of its coat are favored, and its immune defenses are maintained. How to Choose the Diet Of Your Pet? More than 8 out of 10 cat owners choose exclusively prepared foods (croquettes, sachets freshness …) to their animal 1 . It can be complicated for the homeowner to find his way: choose foods that are high in animal protein and low in carbohydrates. Quality food available from your veterinarian, provide a contribution above this minimum requirement. This makes it possible to cover the needs of all cats, even those with the most important ones, such as long-haired cats. In addition, many cat food contain a high content of carbohydrates, especially starch. However, excess starch is stored as fat, and can therefore promote overweight; it can also cause digestive disorders because the body of the cat digests it badly. For a good tolerance, it is recommended not to bring more than 25% of the energy in the form of carbohydrates 2 . Finally, consider promoting quality foods that are manufactured without artificial coloring, no added artificial flavors, and whose proteins are mostly of animal origin, and fit for human consumption. 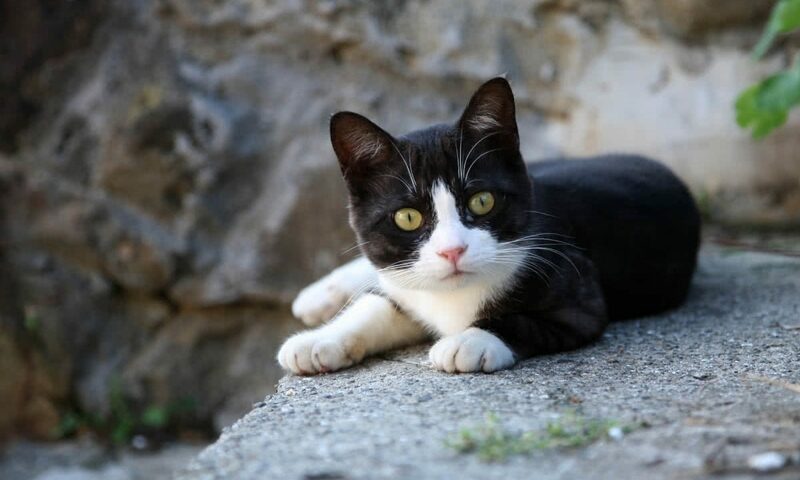 Animal proteins are more suitable for the cat because their amino acid profile is more complete: for example, sulfur amino acids, more present in animal proteins, are beneficial for the skin and for urinary health.